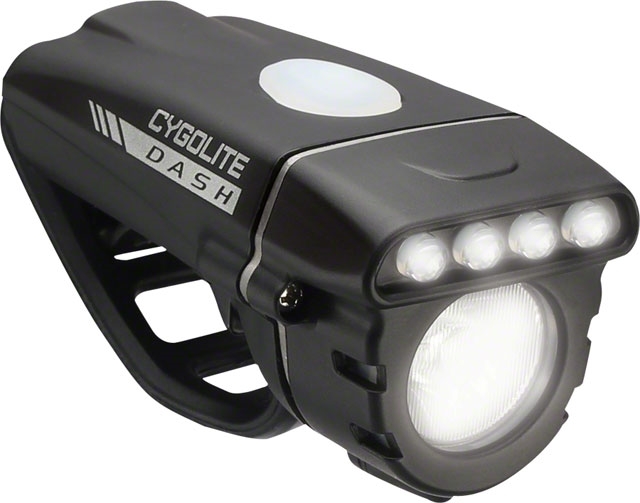 Engineered for road cyclists, the sleek DashTM 460 elevates your adrenaline rushes to another level with an aggressively powerful 460 lumens to pierce through the night. Its highly efficient lens enables an extra wide, long range beam to maximize your line of sight. Beyond its exceptional night capabilities, an attention grabbing array of quad Daytime Running Lights (DRL) makes you stand out in broad daylight. Every bit the road cyclist's light, it uses a low profile flexible mount designed for most handlebars including aerobars. This light is super for daylight warning to drivers coming toward me. I put it in the LED blinking only position because that is bright enough for cars to see. I have not used it much at night, but when I have, it's brightness lets me ride fast and actually SEE the road and potholes. Very bright. I love the ease of attaching and detaching to bring in the house and charge on my computer USB. I love for my bike computer to attach and detach in this manner (stretchable strap).